RFID technology is no longer the new kid on the block. The answer is YES… RFID technology has come a long way since its introduction into the identification market place so many years ago. Over 10 years after Wal-Mart mandated RFID tagging for its suppliers, development teams have been working on the problems that have hindered RFID adoption in the past. Manufacturer concerns such as reliability, profitability, and stable international standards have been addressed and made adoption much more financially feasible and desirable. The benefits of RFID implementation are no longer disputed, in one of many studies that compares manufacturing companies with and without RFID, it was concluded that “RFID technology offers significant benefits for firms through improved inventory ratios and sales efficiency, which translates into higher profit for the firms”*. These higher profits stem from a combination of lower days-in-inventory and lower per-employee costs which can both be achieved by RFID implementation. We have moved from asking “does it work?” which is no longer in question, to looking at the specific business problem and asking “does it make financial sense for my business?”. If you are in manufacturing or warehousing and trying to improve efficiency, enhance traceability compliance at a lower cost, cut shipping fines, and reduce stock outs, the answer is usually not only yes, but yes with a payback period of less than a year! Enhancements in reliability and efficiency have had a direct effect on demand. According to Enu Waktola at SMARTRAC, with an estimated 3-4 Billion RFID-tagged items in 2013 (UHF only), and a 35%-40% YoY growth, it is easy to see the level of market penetration that RFID technology has achieved**. As a result of an increase in demand and decreasing tag and equipment prices, RFID system integration is now offered by more market players than ever. Join fellow manufacturers who are enjoying an 80% improvement in shipping and packing accuracy*. Your company’s products constitute the core of your it’s success. Units that go unaccounted for and unsold hold back your company from reaching its full potential. We encounter so many companies that have “searchers” or “seekers” looking for raw materials that are holding up production, looking for WIP that needs get to final packaging and is holding up an important customer order, and looking for finished goods that need to ship today to be on time. Keep doing this wrong and you start double ordering and double producing, gradually hacking away at profitability. Probably more important are the stories of upset or lost customers due to consistently late or incorrect shipments. The profitability problem is solvable in the future, the lost customers often don’t come back. There are proven solutions to help you address this now. A question that every manufacturer should be asking themselves is “Would I bet money on my inventory data?” This is an important self-assessing question seeing as every unit of merchandise your company produces and every piece of inventory your company owns represents an investment and potential profit for your company. 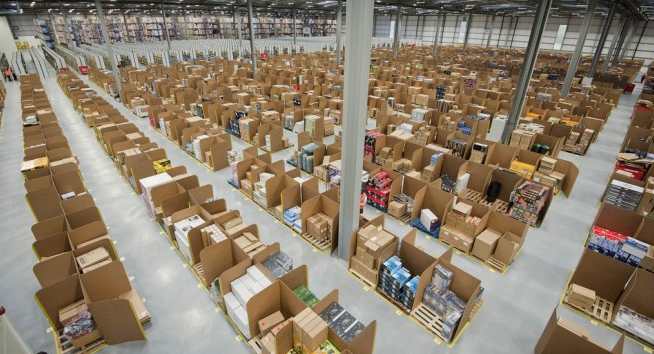 Effective warehouse management is the key to increasing your return on investment. The best way to increase ROI is by shifting the attention of your workers away from scouring the warehouse looking for product and back to what they do best, producing. This can be done by continuously identifying and tracking everything that comes in and out of your facility. A hybrid barcode/RFID data collection system allows you to do this efficiently, effectively, and accurately. Barcode/RFID implementation leads to lower days-in-inventory and lower per-employee costs which result in higher sales efficiency. The first step is getting away from manual and paper tracking. It just doesn’t work well because of the labor cost and the errors. Simply adding barcode scanning can be a huge leap forward. The next level increases efficiency by adding RFID tags. Not only can you accelerate the scanning process, but you can automate the data capture and remove the human element. This means no more forgotten scans and your ongoing labor cost of data capture goes to zero after the initial investment. By deploying a hybrid solution that uses both barcode and RFID, you minimize your ongoing consumable (label/tag) expense while getting as much automation as possible to free up worker’s time, increase the amount of data you collect, and reduce/eliminate bad data. The leaders in the industry have implemented these systems and are seeing an 80% improvement in accuracy. Your business can reach that level of management and visibility too. The abilities that barcode/RFID technology can offer your business do not stop at the warehouse, the technology can improve product traceability and increase your management team’s understanding of what’s going on at all levels of the supply chain.